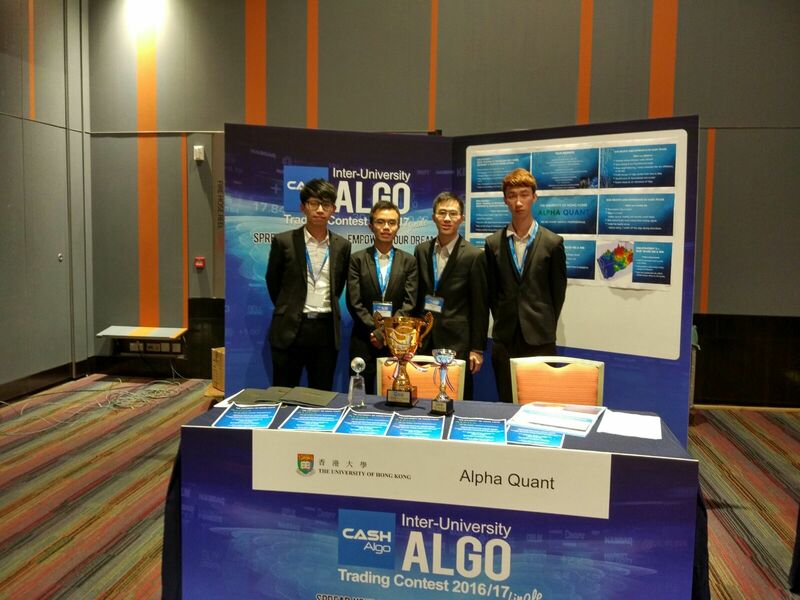 HKU Team, Alpha Quant, received the Overall Champion Bronze Award and the Best Trading Strategy Award at the annual Inter-University Algo Trading Contest 2016-17 presented by CASH Algo Finance Group (CASH Algo). Among the members of the HKU Team, Cai Tung San and Chan Wai Lun are current Year 4 students of the BEng(CompSc) curriculum. The other two members, Tsai Ka Man and Man Chi Kwong are majoring in biomedical sciences and genetics respectively. 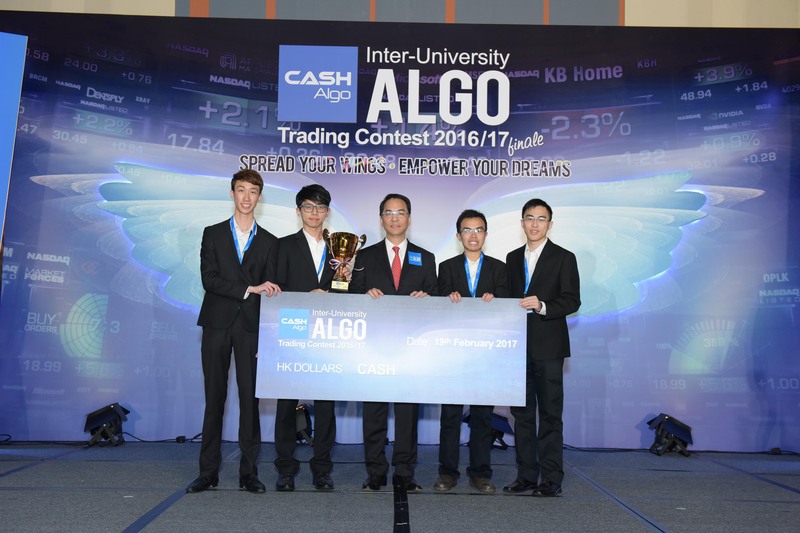 Each finalist team of this contest was required to program/code for the proposed trading idea within a stated period of approximately one and a half month, and to pitch their trading strategy for the judging panel to invest capital in at the final round event day held on February 19, 2017 at the Hong Kong Science Park. The final evaluation was balanced between capital raised and performance.